Makeup Brush FAQ – Top 4 Questions Answered. 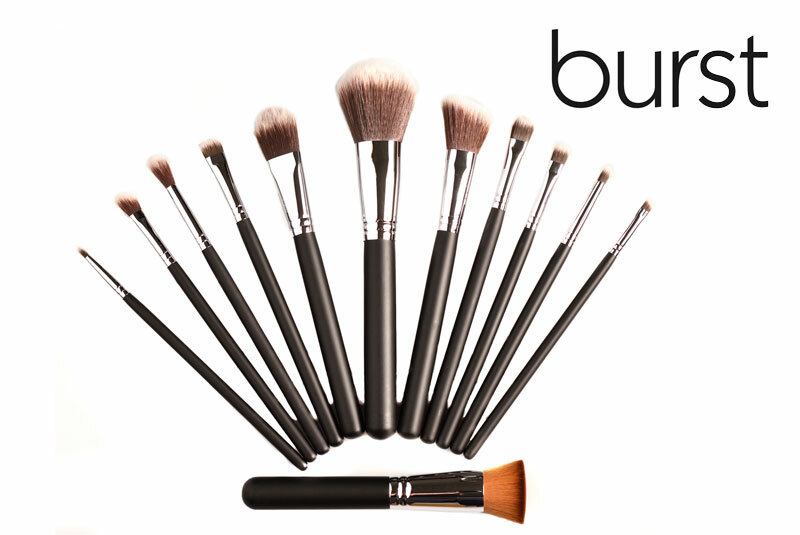 Have you ever had a burning question about makeup brushes that you wanted to be answered? Well, today we address 4 common FAQ’s that are asked. Buying a set of makeup brushes can sometimes be incredibly overwhelming. You may not be ready to make a decision on a whole set and may want to start with just a few brushes to get you going. So today I wanted to answer a few common FAQ’s not only about which brushes you need but also about brush care. Which brushes do I really need? How often do I need to clean my brushes? The only answer to this is “after every use”. You do not necessarily need to deep clean them each time you use them, but you should make sure to use sanitizing products between uses. Keeping your brushes clean and clear of dirt and bacteria is essential if you want your skin to remain healthy. If you are a professional you have absolutely no excuse and should clean your brushes everytime you use them on a different person. We recently wrote a great blog post on this exact topic titled Dishing Out The Dirt – Let’s Talk Brush Hygiene which you may find useful to read. What is the best way to clean and care for my brushes? I can’t stress enough how important it is to keep your brushes nice and clean. Keeping them clean not only extends their life but also saves your skin. After cleaning your brushes you should always dry them facing downwards or lying flat so that no water can go back down into the Ferule (The metal part which could rust) and if you have wooden brush handles then the last thing you want is any water getting in there. Never dry them in direct sunlight. Watch this video of how to clean your brushes using our excellent range of cleaning and sanitizing products. Can I use my brushes for more than one type of application? We understand, if you are not a professional you may wonder why you would want an entire set of makeup brushes and that is perfectly fine. Yes, of course, there are many brushes that can serve more than one purpose in your application process. In fact, you are the artist so if you like a result of a certain brush doing something it is not typically used for then that is totally fine. The biggest factor to consider with this would be to ensure the brush is totally clean between the different applications or you may have a completely undesired effect with the end result and of course dipping a brush into cream product and then later into a powder product can create an unwanted film to develop onto the product, which will ruin it and waste your money. If you feel you may be inclined to do this, then you should rather invest in a specific brush for each application. Here are a few brushes you can use for more than one type of application. A blending brush is probably one of the best brushes to have in your kit and one of the best investments you can make. It not only softly blends out any hard edges in your shadow with ease but you can even use it to diffuse under eye concealer to create a beautiful airbrushed finish. You can use this little brush for more than just the filling in of your brows. Use it as an eyeliner brush to press deep colour right next to your lashline. You can even use it to apply lipstick. This is one of the most versatile brushes to own. It allows you to work with both powder and creamy products like foundation, powder, blush, bronzer, highlighter—you name it you can achieve a great result just using this one brush. Use this brush to apply your desired blush colour on the apple of the cheek for a beautiful healthy look. This brush may also be used to apply bronzer or glow to the face. I hope this post helps you to decide which brushes you need to add to your collection and clears up some questions about keeping your brushes clean and happy. If you haven’t found us on any of our social media platforms yet then please come to say hello on Facebook and Instagram. We’d love to have you there. Synthetic v.s Natural Brushes. Which Is Best?